If you have any questions, please contact a member of our team. BVI Toolkit: How much control does a business owner have? How readily can the business interest be converted to cash? What is the purpose of the valuation engagement? Those are the main questions that need to be addressed by the valuation specialist as they represent a starting point to guide the valuation analysis. Minority Non-marketable - represents non-controlling and non-marketable level of value (includes DLOC and DLOM). BVI Industry Highlight: Which industry sectors have the highest EBITDA multiples? According to research presented by the BVR Resources, the information sector and the mining/ gas extraction sector exhibited the EBITDA multiples of 11.1x and 8.6x, respectively. At the other end of the spectrum, the lowest EBITDA multiples were found in accommodations/ food services, resulting in the EBITDA of approximately 2.5x. Across all sectors, BRV sites median EBITDA multiple to be at 3.0x. What Do Physician Business Owners Think About the Business of Healthcare? Araliya Valuation Consulting (AVC) surveyed over 1,000 physician business owners to find out their perspective on current healthcare environment, in business context. Based on responses from more than 450 healthcare business owners, about 32 percent of physicians say their overall outlook on healthcare environment in business context is optimistic or somewhat positive, while the majority, approximately 55 percent, have a negative outlook. According to First Research publication (Healthcare Sector, NAICS Code: 62XXX), revenues for the US healthcare are forecasted to grow at an annual compounded rate of 6 percent. Most survey respondents, 57 percent, indicated they believe their practice significantly outperforms or performs somewhat above average in comparison to other practices within the same specialty. About 26 percent of the participants said they believe their practice is average and 9 percent of practice owners believe their practice is performing below or significantly below average. On business value, majority physician business owners feel confident they have a good idea what their practice is worth. Also, responders pointed out that the primary value drivers for their practice are the following: strong relationships with their patients and employees, followed by high growth potential and strong financial results. The most important and primary concerns for physicians as they relate to their practice are: growing their revenues, reducing operating costs and paying down debt. Survey results show that only 2 percent of physician practices focus on investing in new technologies and innovation. Lastly, the survey indicated most physician practices are sole practitioners and do not have a business partner. Alabama divorce court adopts result of calculation engagement (Rohling v. Rohling, 2018 Ala. Civ. App. LEXIS 94) - The parties contested the valuation of the husband’s dental lab. The valuation expert worked pursuant to a calculation engagement. The trial court noted that just because a “more arduous or accurate method (valuation engagement) exists does not preclude the Court’s consideration of [the expert’s] findings.” It adopted the expert’s calculated amount. During the past 12 months, average sale price for a restaurant establishment in the U.S.(SIC Code: 5812) was $237,000 (rounded) with valuation multiple multiple of 4.7x Price/ EBITDA and 0.36x Price/ Sales. WesternGeco LLC v. ION Geophysial Corp. - Supreme Court allows recovery for lost foreign profits. The U.S. Supreme Court recently expanded the scope of damages under certain circumstances. The issue was whether the patent holder, which had proven a domestic act of infringement, was entitled to lost profits related to the use of components of a patented device outside the United States. Athlon Sports Communications, Inc. v. Duggan (Athlon II) - Court overrules precedent requiring exclusive use of Delaware block method to determine fair value in dissenting shareholder cases; trial courts may use other, more “modern” methods, including forward-looking DCF analysis, state high court says and remands for reevaluation of earlier ruling. Zaffarkhan v. Domesek - Appeals court upholds zero damages finding in dispute involving short-lived software startup, where plaintiff’s expert had no experience valuing software companies, misapprehended basic facts, and developed multi-million-dollar valuations for a company with no product, no revenue, and no investors. U of Penn Wharton School of Business Study projects that the Tax Cuts and Jobs Act (TCJA) will cause approximately 250,000 or 18.0 percent of U.S. business owners switch from pass-through entity to C-corporations to take advantage of sheltering their income from tax by converting to C-corporations. The biggest switchers are expected to include doctors, lawyers, and investors. Professional goodwill in divorce - in FL, as in most states, enterprise goodwill is treated as marital property; however, personal or professional goodwill is not. Stocks were flat and new- & existing-home sales and starts all fell. Revenue for US hotels is projected to grow at an annual compounded rate of 4% between 2018 and 2022. Resort Fees Rising - resort fees increased more than 11% in 2017, and the number of properties charging the fees rose by about 16%. REIT Consolidation - real estate investment trusts (REITs) are driving consolidation of hotel chains in the US and internationally. Corporate Services - providing a wider array of business services including videoconferencing, technical support for meetings, catered functions, rewards programs, and extended-stay facilities for corporate clients. Extended-Stay Hotels - the number of extended-stay rooms has been growing, in part because the properties tend to have lower guest turnover and operating costs. 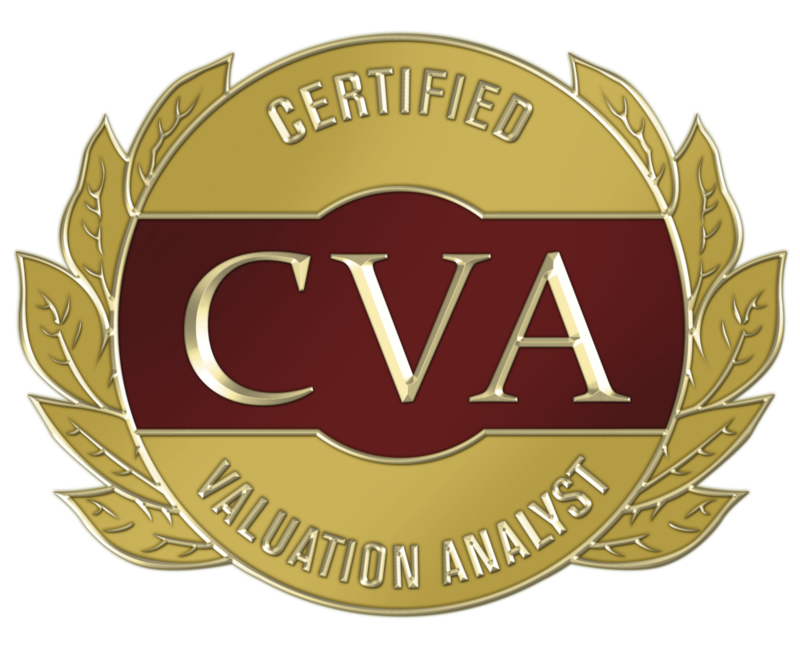 We provide objective, independent business valuation and consulting services in Tampa, FL. We welcome your Requests for Proposal (“RFPs”) or contact us to schedule a complimentary consultation.